I have always admired those old fashioned dress forms. 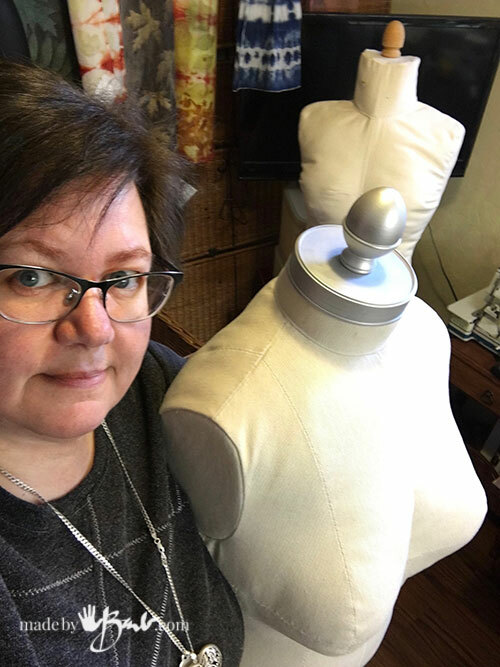 Having sewn my own clothes for over 40 years, I decided it was time to have a body-double. 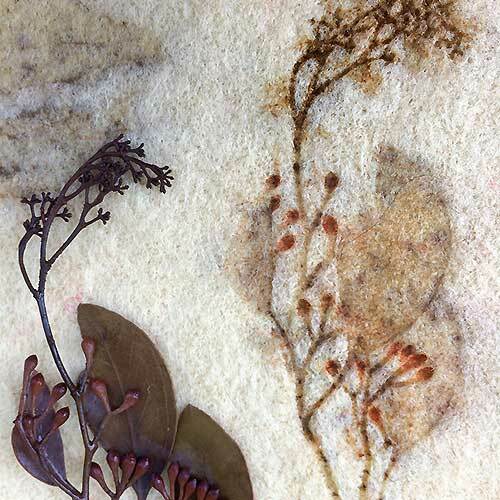 She is also perfect to use in photography of my eco printing. 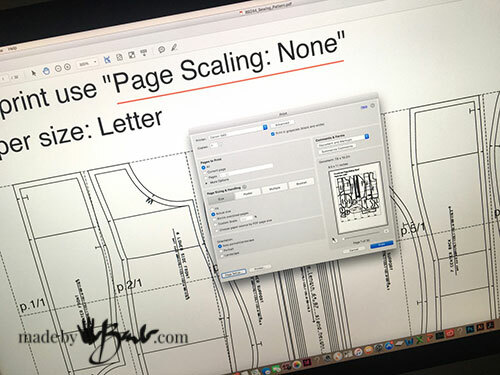 This site will email you the PDF pattern pieces in the exact size you specify!? It can’t get easier than that; no duct tape involved. 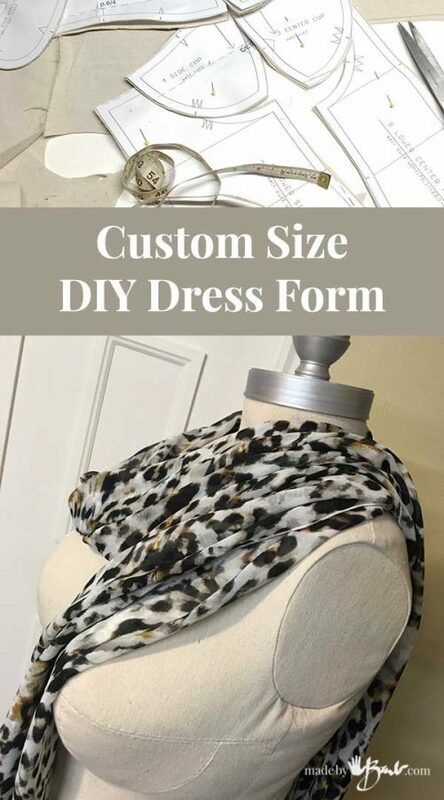 This is my Custom Size DIY Dress Form made with help from Bootstrap Fashion. Go to Bootstrap Patterns site to input all your specific measurements. 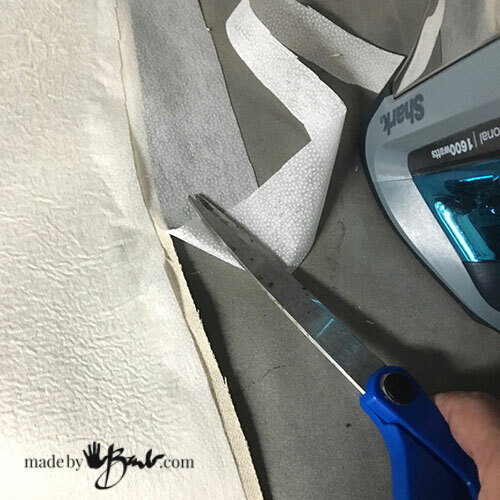 There are many ways to customize your form and before you know it you will be able to print your pattern at home. 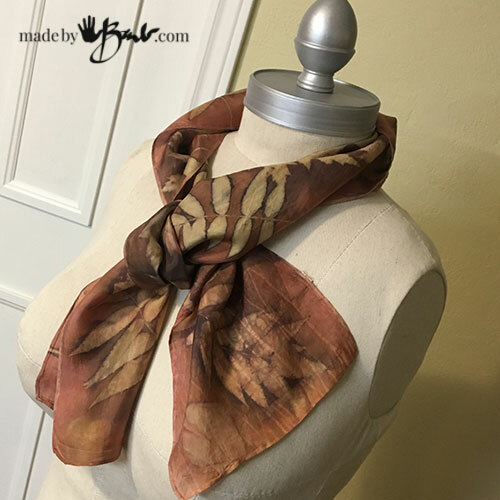 It is quite economical as well with the option of previewing the pattern before you even pay. 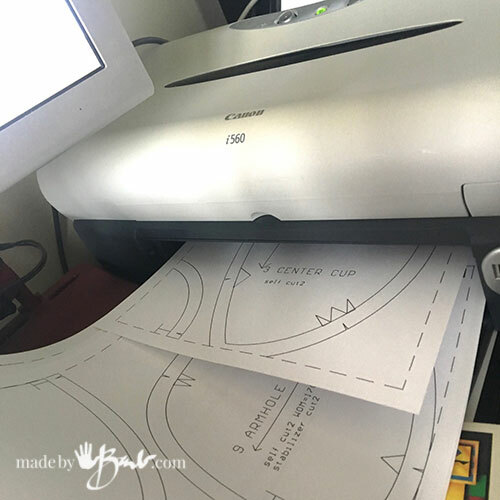 Once you have the pattern (in PDF format) make sure to print it with no page scaling, print it at full size. Once you you have the pieces all cut it’s pretty straight forward. 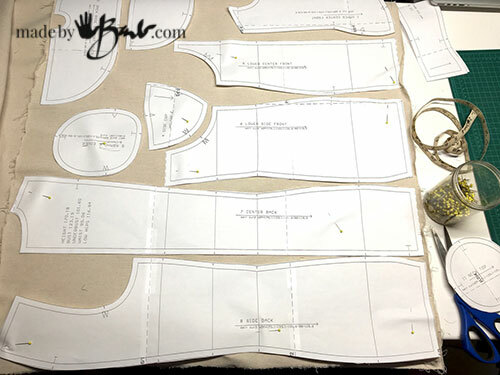 Lay out according to the grain. I decided to use an unbleached canvas drop cloth. You should choose something that will be sturdy and not stretch. It’s fascinating to make such a detailed body shape, and I am impressed with the way it is structured. It comes with quite clear instructions as well. When you order from this site you have the option to have seam allowances added as well. 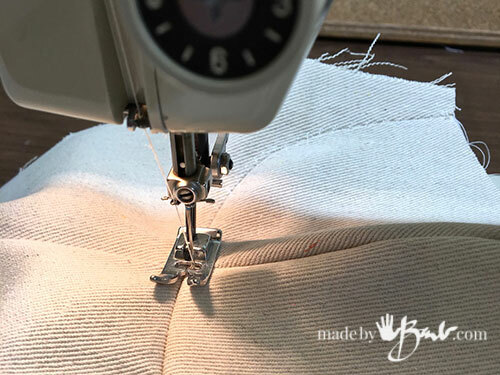 To make a sturdy fabric it is suggested to use an iron-on interfacing on all pieces. Using a tight straight stitch it’s assembly time. It did take quite a while to get to this point but prep is aways the key. 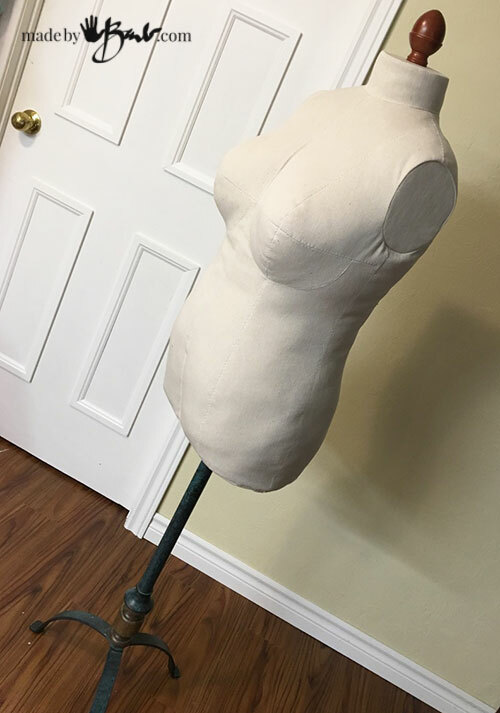 Being an artist and sculptor, it is interesting how the bust shape is created. It feels a bit strange to be looking at a body-double of myself. 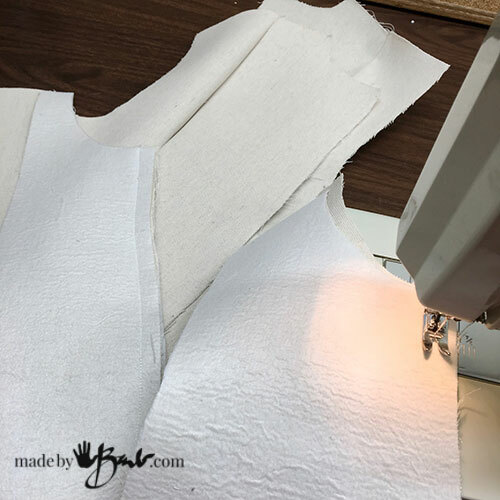 Press seams open and clip where there are curves. 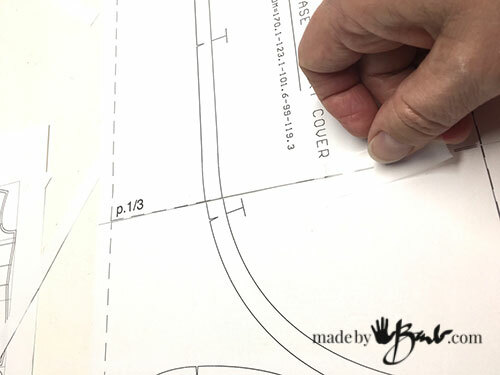 To further reinforce the seam and flatten it they suggest a zig-zag top stitch. Here is the inside of the bust area. All the seams met up quite nicely. Once the front and back are attached then the arm and neck plates will be inserted. 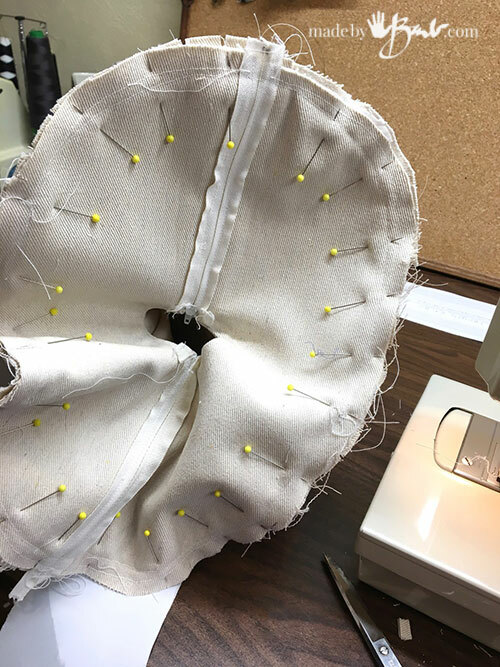 As with any circle sewing it helps to clip and pin quite well. At the neck I wanted to eventually add a decorative top piece like the antique dress forms. 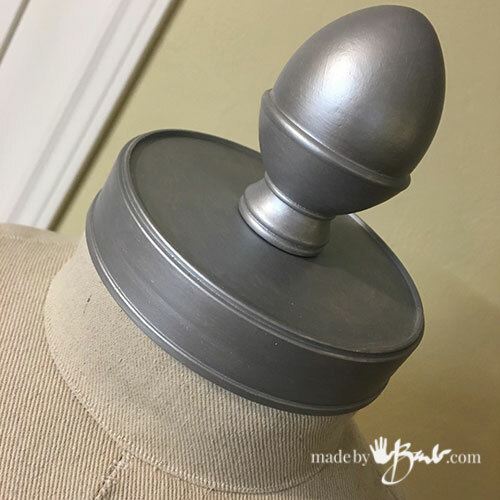 I am using a curtain rod end finial and it will need some wood to screw into. It isn’t pretty but it was the easiest way to get some wood glued to the inside backing plate. I doubled the cardboard for strength. To keep it in place perfectly I hot-glued it from the inside making sure the seams were pushed outward. That provides a nice flat finish. The opening on the bottom is also quite ingenious to allow future adjustment by having zipper openings. I had tried making a dress from from duct tape once but when it is stuffed it ’rounds out’ and does not really match how we are actually a ‘wider’ shape. This pattern has a centre core that keeps the shape and pulls the centre of the bust in. This centre core also has a sleeve for the pole that you choose. I used a heavy weight cardboard tube that would allow a lamp stand to slide into. It gets a bit tricky to attach the centre stabilizer to the front and back centre seams, but it will be inside anyways, jus make sure it’s well attached. 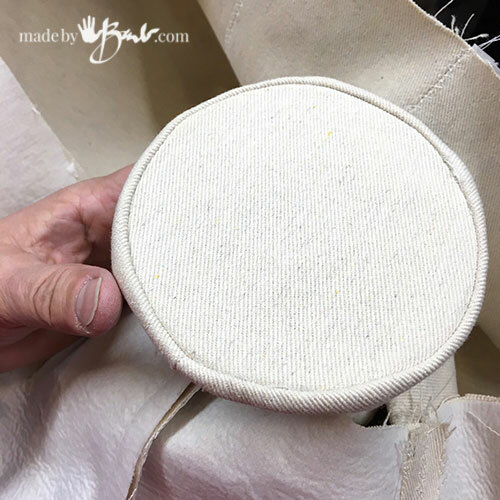 Another circular sewing of the bottom plate and almost done. So exciting; it’s time to fill her up! 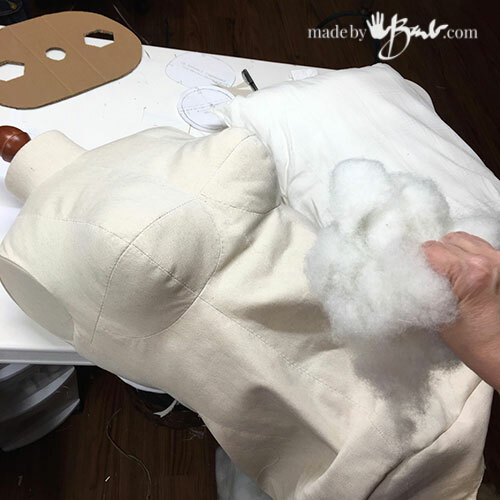 This will take a lot of stuffing as you want it quite stiff, not soft like a pillow. I reused some of those pillows that had matted down and re-fluffed the fibre by pulling apart first. Work your way from top to bottom. It will be quite a work-out. ‘But it is also magical how nicely the shape takes form. I tend to be a detail person so I looked for some lid that would fit the neck, luckily I did find a perfect plastic container lid. A quick coat of acrylic paint and it looks great! A small detail that makes a huge difference! A repurposed lamp stand worked out perfectly for the base and hubby added some castors. An old rolling chair could also make a great portable base and a coat of paint will usually make anything look intentional. ‘She’ has a nice shape, some tummy, and some behind. Your’s will depend on your exact measurements. The small price for the pattern is well worth it in my opinion. If you would like more shoulders there are also customizable ‘arms’ that are detachable. I have not named her yet but she is a welcome addition to my sewing/working room and is often showing off a new scarf or inspirational fabric. Beware; it takes some getting used to seeing a double of yourself though… and accept yourself. Perfect! 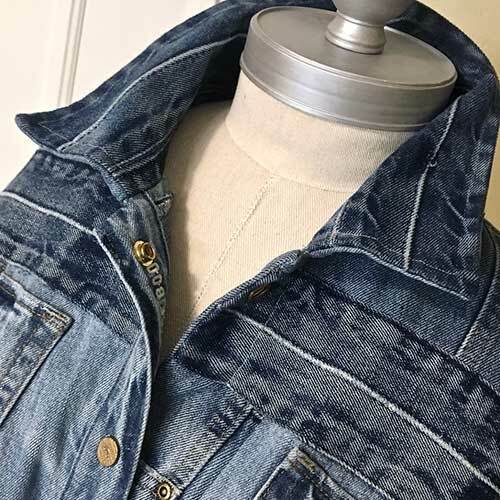 This is just the beginning of custom patterns for me… go have a look at all the types of patterns that you can customize and order… amazing! Wow! I linked over from Pinterest when I spotted your geode tutorial a few weeks ago. Now I’m glad I signed on to get emails from your blog. I have two daughters that are petite. The oldest age 40, wears a size 0 and the youngest a size 2. I’ve been downsizing patterns to fit them for years. The younger daughter who is 36 wears classic cut clothing. We drink tea and binge watch movies from the TCM channel several times a month. She loves the styles worn by Audrey Hepburn, Leslie Caron, Grace Kelly, Ginger Rodgers etc. Coco Chanel is one of her favorite designers. She is basically a throwback to another era when it comes to fashions. Now I will be able to recreate some of the fashions from the “movies” with a pattern made to fit her body. You have made my day, week, month YEAR!! I can’t wait to show her your blog. Thanks again and have a BLESSED day! 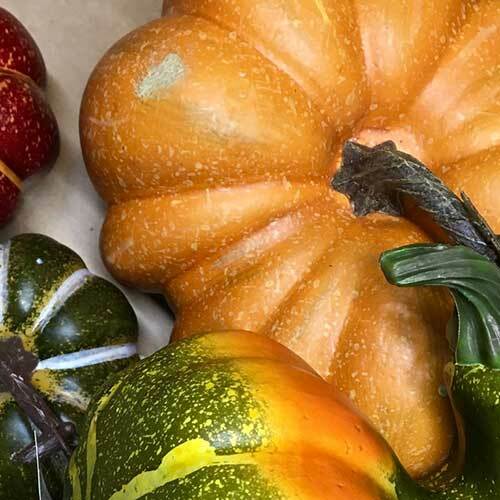 wowee – what a great project & how ambitious – yet again! Thanks Val! 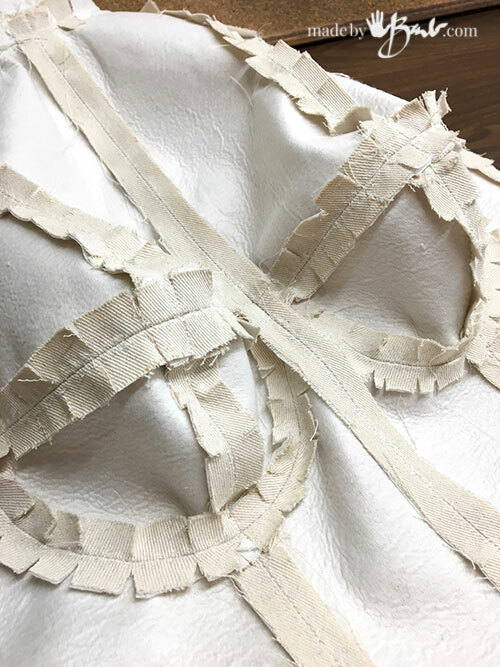 It was an interesting study of form in flat pieces of fabric! So cool! Great! Greetings from the far north! If what you mean can you use the base; probably! I have used an old lamp stand and also I used a curtain rod and a round pot lid one other time. It just needs a sturdy pole. When I was a kid…a looong time ago…my mother had a dress form she named Myrtle and kept in a closet. My brother and I were scared to death to open that door! 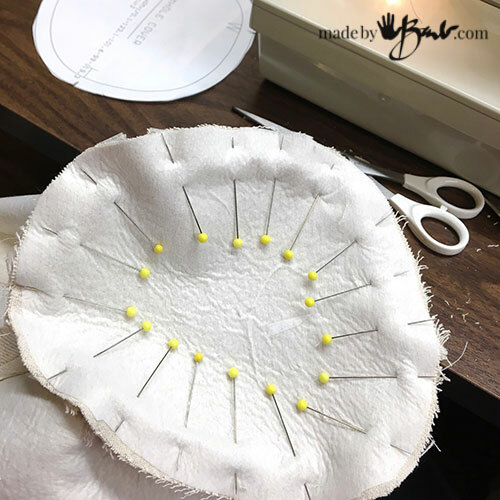 I have been sewing since I was 10 years old. I really like your work and work ethic. Thank you. Awe, cool story. We often get molded by our childhoods. My mom had wooden heads all over for her custom milliner work she did. We owe it to teach our children to teach them some life skills. Thank you for this! Martha the jersey covered plastic dress form did not do it for me either. t I am much longer waisted and other parts are not in the right place either. I can hardly wait to get started. Martha’s base will do just fine.and having a body I can pin things to will help so much.. And now I can get customized patterns too! Squeeee! Hi Barb, just stumbled on your blog via Pinterest. How Swell! 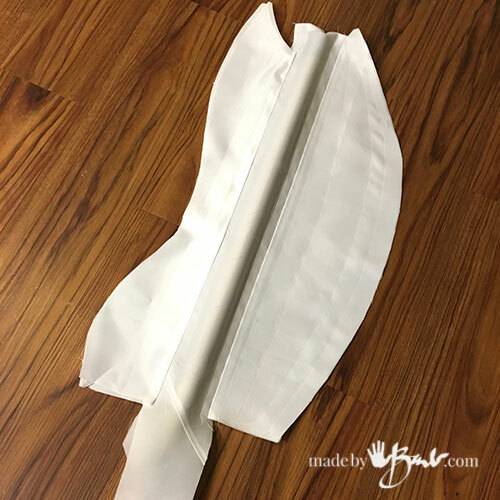 I printed out a couple of the eco-dye tutorials and then found this one on making a dress form. I want to make one, but have a basic question. I went to Bootstrap, but not sure what type of pattern I would need to get to make a dress form. Am I confused? Can you point me in the right direction? Your tutorials are clear and lovely, and thanks so much. Did you go here? 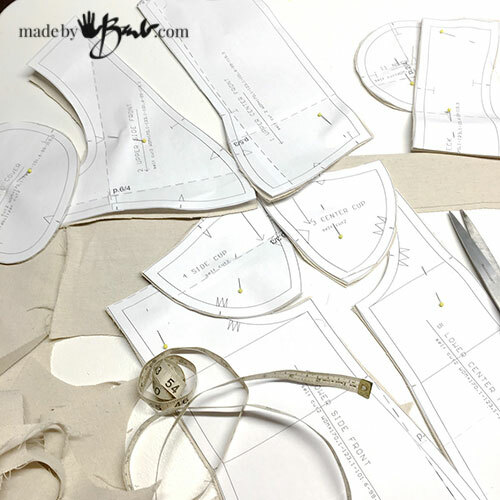 This link takes you to the dress form pattern choices. 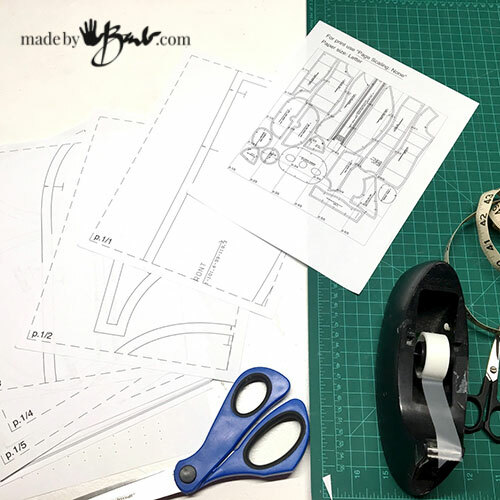 ‘Hope that helps and you make a dress form! I am so happy to find your site! I have been looking to build a body double for quite awhile. 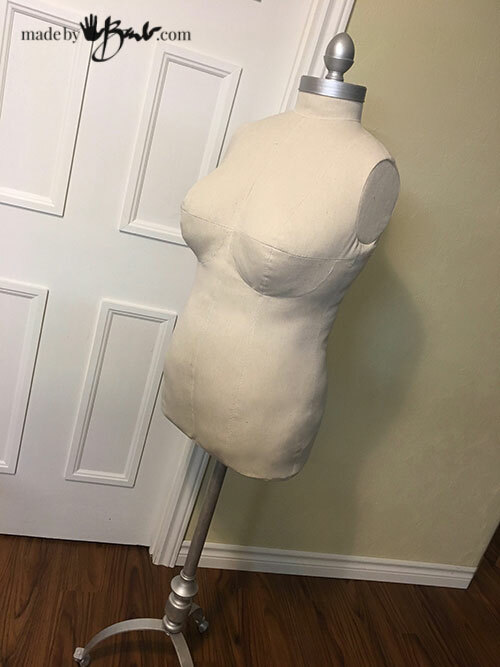 If I used the iron on interfacing and a heavy linen canvas, do you think I could get away with filling her with expandable foam? Or would it distort the shape? Could I get her filled densely enough with batting to make this work with 18th century stays? I need a form to fit period clothing. 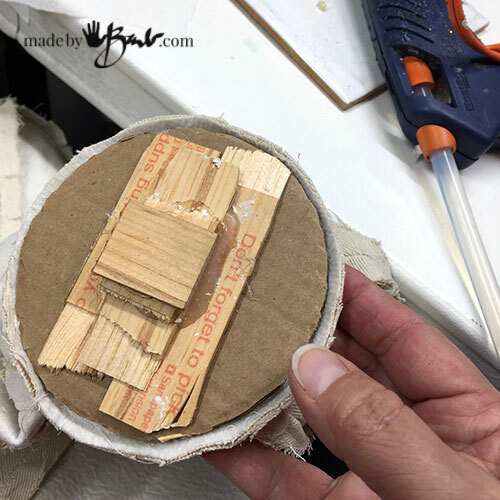 This method looks easier than making one with plaster cast material as I have found elsewhere. It is something I could do on my own too! I would appreciate any thoughts you have. Thanks! Those are coincidental questions as I made mine with canvas that was stiffened with iron interfacing. Expandable foam would seem like a risky thing and it is suggested to use batting. It is a very unique pattern as there is a piece that makes sure the form does not end up too round; quite ingenious! 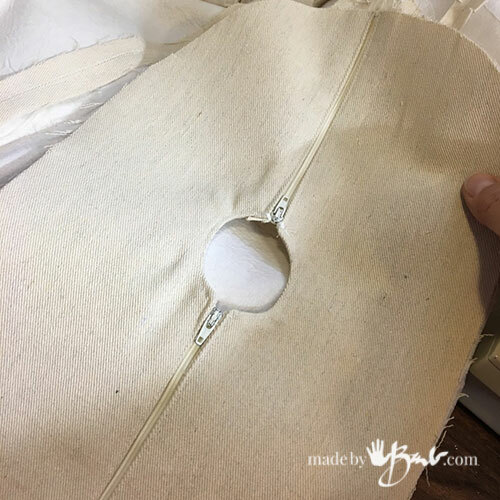 If you sew it is not that difficult and is quite nicely shaped. I think it would work great for your use. 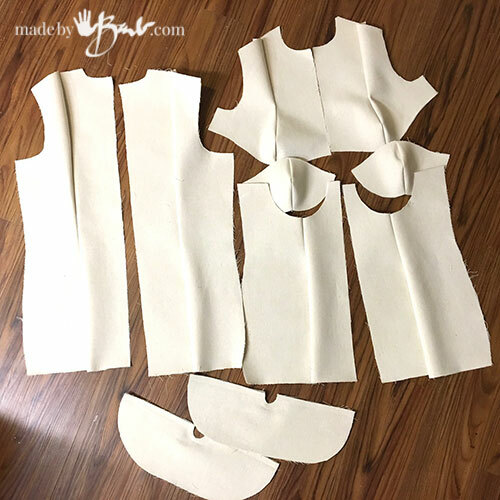 There is also a possibility to make the add-on arms and since you can use the fabric you like you can customize it.